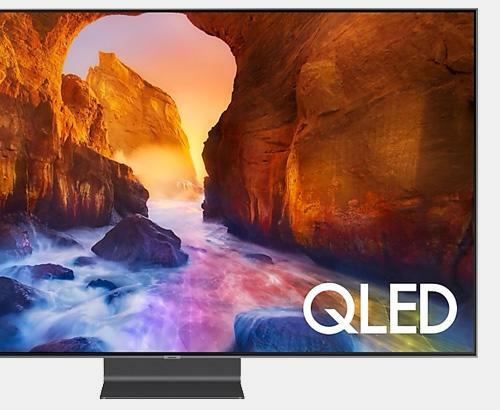 Introducing the QE75Q950R 75 inch QLED TV from Samsung bringing 8K resolution to consumer Televisions, This fused with the ever popular QLED and Direct Full array Elite LED screen technology brings the sharpest and highest detailed image to date. This TV has a PQI of 4300 and is also HDR 4000 & HDR10+ compatible. 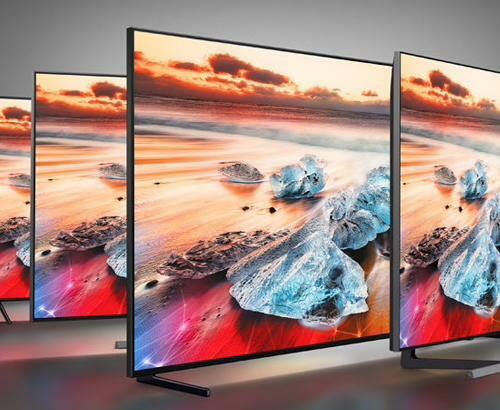 Samsung's QE75Q950R is part of the flagship QLED 8K TVs from Samsung. This 8K HDR TV is one of the best flat screens available on sale. The Samsung QE75Q950R HDR QLED 8K TV is Samsung's First generation 8K HDR QLED television. Enjoy the amazing pixel-less viewing experience with 33 Million pixels painting the sharpest, most detailed image to date. This is 4 times the amount of pixels seen on a 4K TV and 16 times that of Full HD. But what about the 8K Content? With very limited 8K content available currently the TV still makes full use of the 33 million pixels with 8K AI Upscaling by taking any content on the screen and enhancing the detail close to that of true 8K, anything from a standard definition to a 4K source. This is achieved by analysing the information per pixel and using pre-defined algorithms to improve the detail. The design of the Samsung QE75Q950R HDR 4K TV is focused on the premium and luxury. Featuring a 3 way bezel-less design to give the most immersive experience possible. Sitting this television on pedestal stand reveals a beautiful crafted minimalistic design with the front of the stand barely being noticeable to help keep you more immersed in the stunning image quality this TV has to offer. This QLED 8K Television is capable of delivering 100% colour volume according to the DCI-P3 standard which is the standard used in film production. This takes colour reproduction on this QLED HDR 8K TV to a whole new level providing new colour permutations that deliver a breathtaking picture. Q HDR 4000 aims to deliver the very best colour detail possible allowing more light to be pushed through the Panel. This results in more vivid colours and higher dynamic range. This greater contrast delivers stunning detail in both light and dark scenes. Q HDR 4000 along with Direct Full Array Elite reveals hidden detail in dark scenes that you wouldn't be able to distinguish on some other LED screens giving you the ultimate viewing experience. This is a form of Full Array Local Dimming (FALD) backlighting technology which can independently control the light level of multiple zones on the screen providing better contrast and a greater level of detail which is hard to achieve on standard LED Screens. Technology 7680 x 4320, QLED, 4300 PQI, 8K AI Upscaling, 8K HDR, HDR10+ & HLG, Certified Ultra HD Premium, Contrast Enhancer, Quantum Processor 8K, HDMI 2.0a, HDCP 2.2. 10 Bit Panel, 4000nits peak brightness. Our installation service covers the whole of Greater Manchester and also many parts of Lancashire. Our prices are constantly monitored to ensure that we are as competitive as national retailers. This Samsung QE75Q950R is also available with a bespoke white glove delivery and installation service. 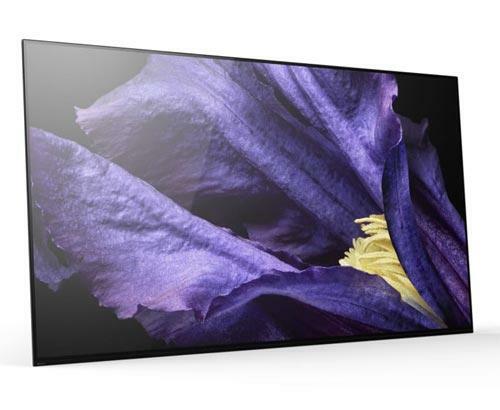 Are you looking to have this 8K HDR TV wall mounted? Then why not speak to a member of our team on our live chat service or in store. As a leading specialist in wall mounting 8K HDR TVs will we will be advise the most suitable location and competitive prices.